We were in South Melbourne to do some shopping and then grab lunch before heading out of town for the night. 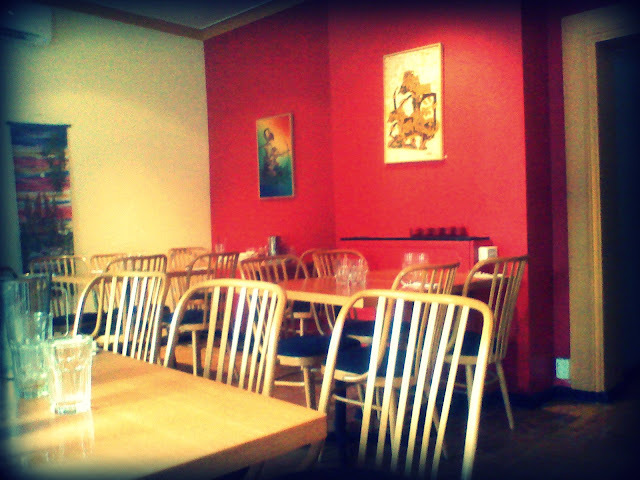 We picked Garamerica as it seemed one of the few Asian options that were open for lunch at on Saturday. Just off Clarendon St on Dorcas St, despite the sign Garamerica would be easy to miss. Inside it was pretty cosy, and relatively busy when we arrived at around 2, it emptied while we were there. The welcome was warm and we were offered help with the menu and suggestions! Bali is the only part of Indonesia we've visited, and although we got around the island, I'm sure it only represents part of the national cuisine. I did remember a few dishes on the menu. 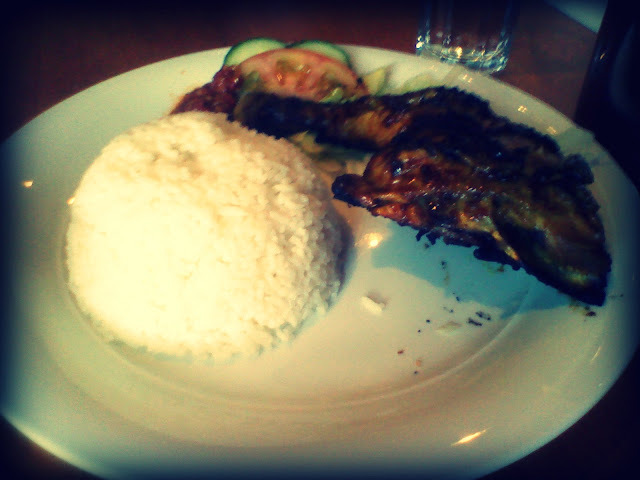 I had most of the Ayam Bakar, the marinated chicken grilled with garamerica's 'authentic sauce', was beautifully cooked, crispy spicy on the outside and tender inside. It came with rice, shrimp paste, chilli and a few veggies, along with some hot and sour soup. 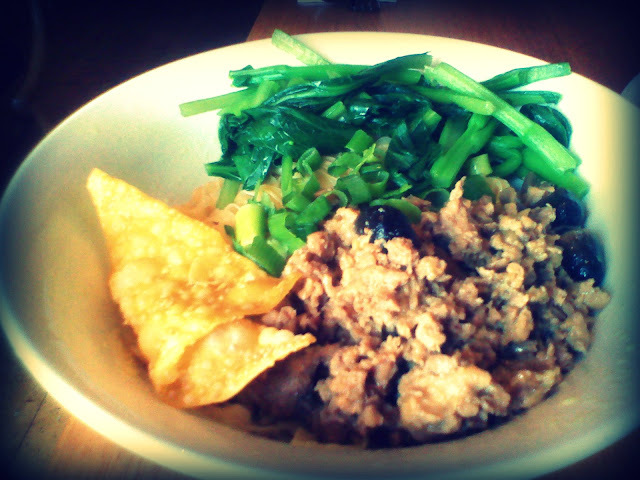 The Mie Ayam had egg noodles blended with spices topped with minced chicken and mushrooms cooked in a "special sauce", was a new one to me and nicely flavoured. We shared the Siomai which the menu listed as steamed Indonesian fish dumplings with home made peanut sauce. It came with with tofu and boiled egg as well as the dumplings, which were more gelatinous than we expected. 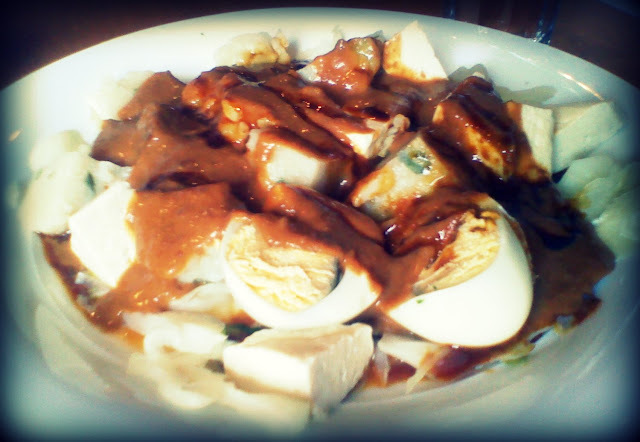 The sauce was quite sweet and reminded me of those that I'd had on gado-gado in the past. It was certainly a different dish, and I'm still not quite sure if I'm a fan. The waitress mentioned that her favourite was the fried version, which maybe worth a try on another occasion. The dishes were good value at around $10 each, we would have been fine with just one each... The service was very friendly, and I'd certainly pop in again if was in the area.